On entering this four bedroom home you will walk through a classic hallway design with the garage on your left and a bedroom on your right. Before reaching the rear of the home you will pass the powder room, laundry and small private study. 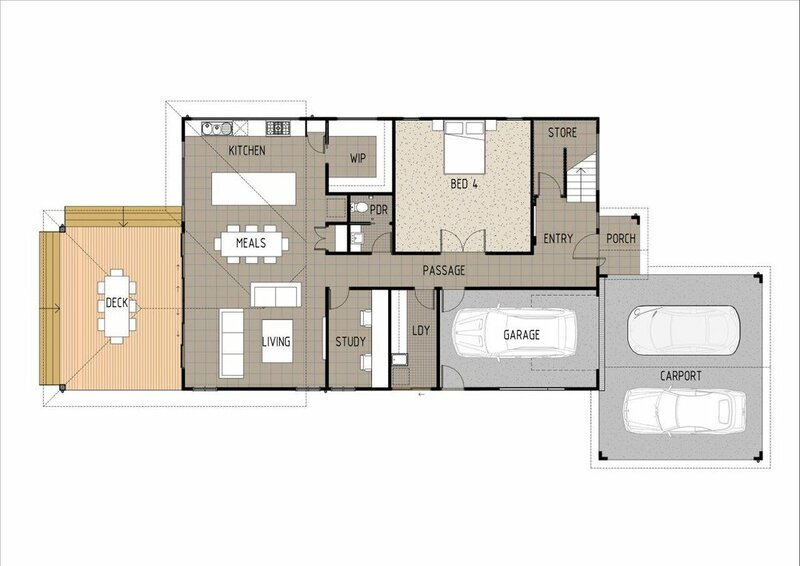 At the end of the hallway, the home opens up to an open plan kitchen, dining and living area. The kitchen is of a modern design with a large island bench and huge walk in pantry. An outdoor alfresco/deck off the living and dining rooms completes this lower level. Upstairs on the first floor you will immediately walk into a large landing area which can be used as a sitting area/second living room. Two bedrooms with built in wardrobes and a full size family bathroom surround the landing. The master bedroom which features a private ensuite and large walk in wardrobe complete this floor.